Buying a second-hand vehicle can be risky– as you may not just suffer financial losses but your safety can be at risk as well. While, buyers of used vehicles are mindful of the fact that they are buying second hand vehicles and not a new brand one, they still deserve a second-hand vehicle which is fit and road-worthy. Most buyers of second-hand vehicles do not have “unrealistic expectations” about the condition of a vehicle, given the age, mileage and price charged for it but some end up in a raw deal, getting vehicles- best described as ‘death traps’ and ‘debt traps’. In most cases consumers have purchased vehicles which were not worth the price paid because these vehicles were sold in a dubious manner. Certainly, some unscrupulous dealers who sell such defective vehicles are blatantly disregarding business ethics and fair trade practices by putting used car buyers in danger. Among the 133 complaints received since 2008, the worst examples are buyers complaining of problematic gear box, severe oil leaks, faulty brakes and dangerous electrical wiring. The complaints at hand shows how some buyers of the used vehicles run around in a state of frustration and confusion when their newly-purchased vehicles start giving problems and the repair costs adds up to an amount that would fetch a brand new car. These buyers become more vulnerable when the dealers ignore their complaints, refuse to provide after-sales service and try to hide behind disclaimers that suggest there are “no refunds” or the car is “sold as seen” or “ as is where is” basis. Mrs. Bale purchased a second-hand vehicle from a used-car dealer for $38,000. After paying such an exorbitant amount, she experienced a breakdown within few days of her purchase. She immediately notified the second-hand car dealer. The vehicle was then taken by the dealer for inspection. The car dealer was not prepared to attend to any of the problems in the vehicle. Instead, he suggested that the vehicle be given to an established garage with the expertise to look into the problems. Request for a replacement vehicle was also declined. The vehicle was finally given to a professional garage with the required expertise to ascertain defects in the vehicle. Mrs. Bale’s dream of owning a car was dampened when she was advised after a month that the vehicle was beyond repair due to a number of mechanical faults. Sairusi had made a deposit for a vehicle. He was informed that the vehicle will be given after minor repair works. Finally Sairusi received his vehicle after two months. Sairusi started experiencing problems after problems with the engine. He went back to the dealer with the vehicle and they promised that it would be repaired instantly. Unfortunately, the dealer was not attending to the repairs. Sairusi took the vehicle to another mechanic, only to be told by the mechanic that all the parts that were fitted in the vehicle were heavily rusted and the engine fitted in the vehicle was different from the engine description on the wheel tax. Sairusi went back to the dealer for a refund, but he was denied any refund. Feeling very disappointed and frustrated, Sairusi came to the council for assistance. These cases and many others at the hands of the council acts as a yardstick showing the extent of problem existing in the second-hand vehicle industry– there is certainly a need to fix the system with existing laws and enforcement agencies taking frontline. This is serious– some dealer sells a vehicle to a consumer who goes out of his way to fork out his hard earned cash and all he gets is a defective and faulty vehicle; what is more devastating is the quagmire of uncertainty that the consumer is caught in – if he wants to keep the faulty vehicle, he has to spend more money an if he wants a redress– he does not have access to a speedy and an inexpensive redress system. 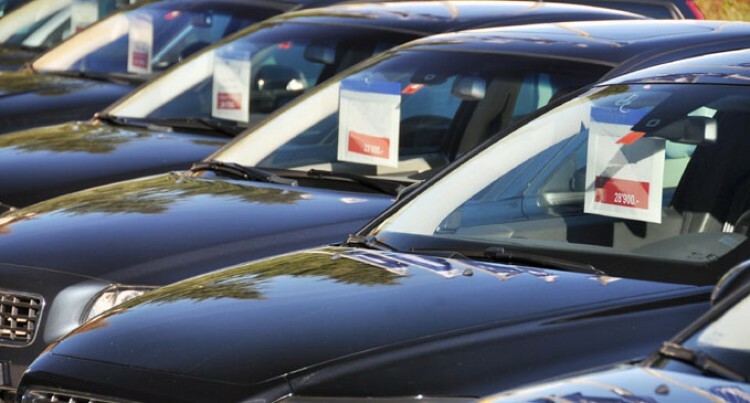 While, for the second-hand dealers– its business as usual – because they are not taken to task, they continue to sell faulty, defective vehicles.